November 23th through Saturday November 30th. kids 12 and under get in free! *Drawing of winners and awarding of prizes will be presented at 6pm. You do not need to be present to win. DEADLINE FOR TREE SPONSOR APPLICATION IS OCTOBER 28TH. SPACE IS AVAILABLE ON A 1ST COME 1ST SERVE BASIS. TREE SPACES ARE 6’ X 6’, TREE AND PRIZES MUST FIT IN DESIGNATED AREA. MAXIMUM TREE HEIGHT IS 8’. ALTHOUGH MOST TREES WILL BE THE STANDARD “FLOOR” TREE, FEEL FREE TO USE “SKINNY” TREES. A MAXIMUM OF 15 – 4’ TREES WILL BE ACCEPTED. THERE ARE NO WRONG SHAPES! HAVE FUN WITH IT! ALL TREES MUST BE NEW ARTIFICIAL ONLY. NO REAL TREES ALLOWED. A TREE SKIRT FOR THE BOTTOM OF TREE SHOULD BE PROVIDED AS PART OF THE TREE. A THEME SHOULD BE CLEARLY REPRESENTED IN THE TREE DECORATIONS AND/OR PRIZES. THE THEME MAY REPRESENT YOUR BUSINESS, AREAS OF INTEREST (HOBBIES, ETC.) THE HOLIDAYS, OR ANY OTHER THEME THAT YOU WOULD BE PROUD TO HAVE YOUR BUSINESS OR GROUP ASSOCIATED WITH. NO ALCOHOL IS TO BE DISPLAYED WITH THE TREE, BUT MAY BE INCLUDED AS A PRIZE ONLY IF IT CAN BE PICKED UP FROM SPONSOR NOT ON TRIPOLI PROPERTY. A LIST OF TREE WINNERS WILL BE POSTED ON THE TRIPOLI WEBSITE AND IN THE NEXT ISSUE OF THE TATTLER NEWSLETTER. YOUR TREE WILL BE AWARDED TO A WINNER DRAWN FROM YOUR RAFFLE TICKET CONTAINER ON THE LAST DAY OF THE FEZTIVAL. Thank you for your sponsorship! Enjoy planning your Fabulous Feztival Tree! It’s already our third year for the Feztival of Trees and the Nobles and Ladies of Tripoli Shrine can hardly believe it! We are so excited to be making plans for another year of beautiful trees, visits with Santa, amazing music light shows and delicious meals and treats. Each year we have added new ideas, new music, new food, and new decorations. We’ve seen the Tripoli Shrine transform into “Candyland” and “The Gingerbread Forest”. And this year will be ENTIRELY DIFFERENT again with the theme of “Winter Wonderland”! Our “Winter Wonderland” Chair has promised a truly elegant experience for this year, but we won’t forget to have some extra, NEW, fun activities for the kiddos. We believe we have started a tradition for many Milwaukeeans during the week of Thanksgiving and we hope you will consider becoming a part of this positive community event. The 2019 Feztival of Trees will be November 23rd - 30th (excluding Thanksgiving Day). With the chosen theme of “Winter Wonderland” there will be glittering wintry decorations throughout the Shrine Center along with food and beverages for your enjoyment, photos with Santa, Music Light Shows that are truly amazing, and of course, the forest of decorated Christmas trees that will be raffled and awarded to those who purchase raffle tickets. The purpose of this event is to raise money for the Tripoli Shrine Center to support its efforts in helping kids. We want to raise awareness of who Shriners are and what we do. It is also our intention to bring our community together for a fun filled family-oriented holiday experience. We want to showcase our beautiful historical building and our Near Westside neighbors. Tripoli Shrine has been a part of the Concordia neighborhood for over ninety years and it is truly one of Milwaukee’s hidden treasures. 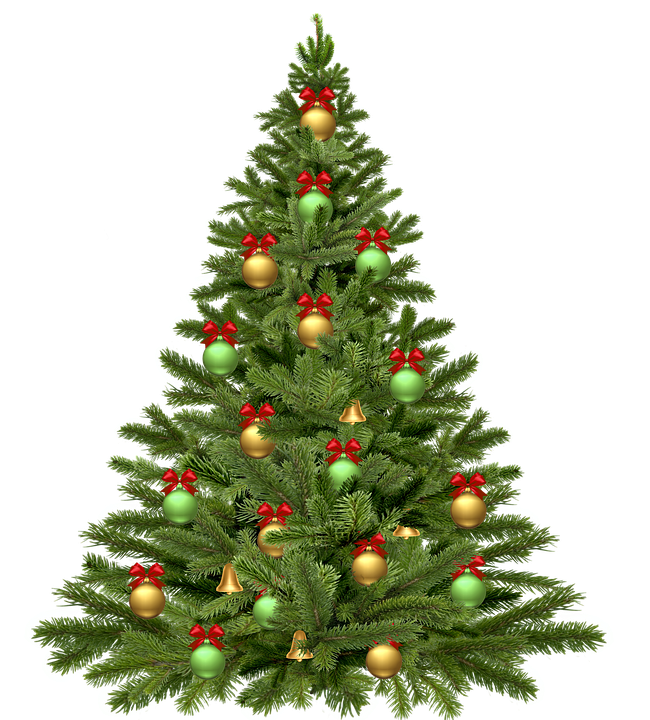 To become a Tree Sponsor, organizations are being asked to donate a fully decorated pre-lit Christmas tree. Last year we had 55 sponsored trees displayed in our ballroom for viewing. Patrons purchased raffle tickets and placed their tickets in the ticket vessel next to the trees of their choice and winners were selected on the last day of the Feztival. Tree winners then brought home their beautiful trees with all their splendor and gifts on Sunday. We are looking to surpass 55 trees this year and expand the displayed trees throughout the Shrine Center. Decorated Trees may be any family-oriented theme and/or can promote your organization or business. We will again this year accept a limited number of 4-foot trees which are preferred by those who may not have room for a full-size tree. Whether you use the creation and decorating of your tree as a team building exercise or a holiday project for you and your employees; your support of our Feztival of Trees will help us maintain our beautiful Tripoli Shrine and support our mission of helping kids. Corporate Sponsors of these areas will be recognized with signage as the Corporate Sponsor of that category at the Feztival as well as in the Event Booklet which will be distributed to every Feztival guest. To those of you who have been Sponsors, THANK YOU. We hope you are getting excited about planning your tree. To those who are just finding out about our FEZTIVAL, jump on board ! You won’t find a better experience anywhere. Please consider helping the mission of the Tripoli Shriners and become a “Feztival of Trees” Tree Sponsor or a Corporate Sponsor and help generate a positive impact in our community. Your support will help us make the “Feztival of Trees” a new Milwaukee Holiday Tradition. Please take a moment to visit our website www.tripolishrinefeztival.com to see what it’s all about! A Tree Sponsor Application and the Rules and Guidelines, as well as, a Corporate Sponsor Application are included with this letter for your convenience and are also available to download on our website. All applications are due to a Committee Member or the Tripoli Shrine Office by October 28th, 2019. Thank you for your thoughtful consideration. We look forward to seeing you this year at the 2019 Feztival of Trees! Feztival of Trees is an annual event where individuals and families can come down to The Shrine Center and walk through a winter wonderland of decorated trees set up by sponsors. We are thankful for all of our sponsors and their contributions!